As part of their preparations, the Lord reminds the children of Israel of all they have learned. "Deuteronomy is a book about covenant-making. 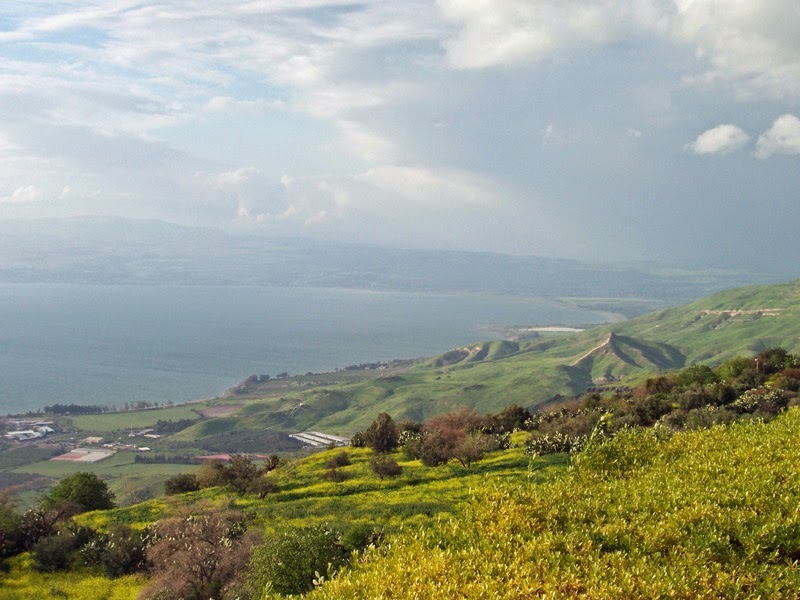 Its setting is the east side of the Jordan River as the second generation of the Israelites who came out of Egypt is about to enter the promised land. Years of experience in the wilderness had chastened them and trained them to keep their covenants. (See Deut. 1:1-5.) The book also coincides with the end of Moses' tenure as leader of Israel. Many of the people had been very young when all of Israel last covenanted to obey the Lord at Mt. Sinai. Frequently at such moments of transition to new leadership, the outgoing leader would bring all the people under covenant again to obey God. Such seems to be the case as Moses passed the mantle of leadership to Joshua. The scriptures are full of exhortations to "remember". Why? What kind of things should we remember and what kind of things should we forget? What has the Lord given us to help us "remember"? Prophets, scriptures, parents, signs and symbols, tokens and covenants and the Holy Ghost. “When you look in the dictionary for the most important word, do you know what it is? It could be ‘remember.’ Because all of [us] have made covenants…our greatest need is to remember. That is why everyone goes to sacrament meeting every Sabbath day—to take the sacrament and listen to the priests pray that [we] ‘may always remember him and keep his commandments which he has given [us].’ … ‘Remember’ is the word. Remember is the program” (Circles of Exaltation [address to religious educators, Brigham Young University, 28 June 1968]). 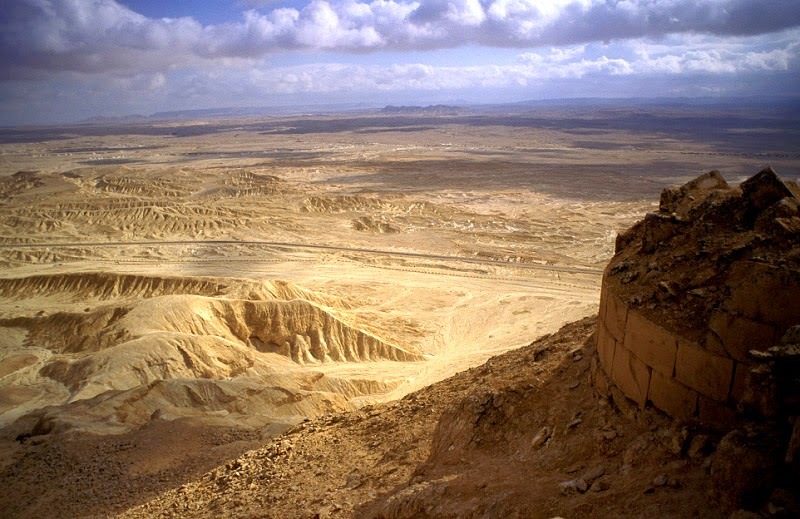 In Deuteronomy 1:1-2 we notice that much of where the children of Israel wandered over 40 years could have been easily crossed in 11 days.Why was it necessary for the children of Israel to wander in the wilderness for 40 years after leaving Egypt? They needed 40 years to forget the false traditions and to start remembering their one true God. Deuteronomy 6:4-9 Notice Christ's repetition of this in Mark 12:28-34. Just knowing the context of Christ's quote highlights for me the importance of what he was trying to teach the children of Israel earlier as they left their wilderness home. Also notice what I like to call the "airplane rule" in effect - parents first and then children. v.6 "and these words, which I command thee this day, shall be in thine heart"
and then v.7 "And thou shalt teach them diligently to thy children...". Just on Sundays? No... "...when thou sittest in thine house, and when thou walkest by the way, and when thou liest down, and when thou risest up." But sometimes we hear excuses such as these: "Time is too short," "We have other things to do on Monday nights," "We are too old to enjoy the lessons," "Our children are too young to understand," "Our children must get their school lessons," "We can't get them all together," "We don't like to tie ourselves down," "I'm all alone and don't need it," "There are special TV shows that night." v.8-9 Are we meant to do this? What is the true intent of these verses and the significance for latter-day saint families and homes? cf Mosiah 1:5 King Benjamin taught that we should have the commandments "always before our eyes". As we consider this instruction, ponder on what is before your eyes in your homes - what books, and art and media are on your shelves and on your walls and on your media devices? Do the things reminding you of your God outnumber the things that remind you of other gods of the world? As the children of Israel prepared to move out of the wilderness into the land of promise, the land of "milk and honey", why was the Lord so concerned that they might forget Him? Have you sent a child to school on their first day? Have you sent a child away to university? Have you sent a child on a mission? Have you had a child get married? Think back to that day, those last few moments before they left - what thoughts filled your mind? Things you want them to remember, right?! It is the natural concern of a parent s they send a child off into the world - "don't forget this", and "don't forget that"! And what does the child say? "Yes, yes, I'll be fine. Quit worrying. You already told me that mum!" These scriptures in Deuteronomy feel the same way to me. It's the Lord saying "don't forget" and he says the same things a few times over in Deuteronomy just to help the children of Israel remember the most important things. Deuteronomy 8:1-20 is a beautiful example of this reminding. What does the Lord warn the children of Israel of in Deuteronomy 6 and Deuteronomy 8? "I suppose there would never be an apostate, there would never be a crime, if people remembered, really remembered, the things they had covenanted at the water's edge or at the sacrament table and in the temple. I suppose that is the reason the Lord asked Adam to offer sacrifices, for no other reason than that he and his posterity would remember—remember the basic things that they had been taught. I guess we as humans are prone to forget. It is easy to forget. Our sorrows, our joys, our concerns, our great problems seem to wane to some extent as time goes on, and there are many lessons that we learn which have a tendency to slip from us. The Nephites forgot. They forgot the days when they felt good. President Henry B. Eyring relates of a personal way he has managed to keep focus and remember to acknowldge God's hand in all things. One of the most enjoyable ways the Lord has given us to remember is through music. There are many many songs that can remind us of our God, of his commandments and of our blessings. One that personally stands out for me, ever since I was a child, is the hymn, Come Thou Fount of Every Blessing. For me this captures everything - my nothingness, my frailties but also my desire to be like and with God, how blessed I am and how much I owe Him. It stirs my heart and soul and urges me to be better. It is an anthem of praise to my God and a declaration of my love for and humility in his presence. The video below is not a clear rendition but nevertheless it is a beautifully arranged and emotionally sung version by the BYU Chorus. May we ever remember Him, His commandments and His judgements, as well as His mercy and love.